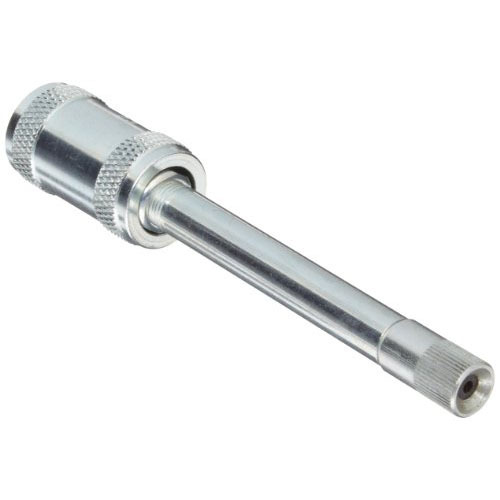 Needle Length: 3-1/2" - Tip Diameter: .1/4"
Push type coupler QCC-PTS is a quick connect adapter used for greasing recessed hydraulic fittings and ball-type fittings where regular hydraulic couplers will not fit. No threads, no screwing or unscrewing, just snap our quick connect..
Push type coupler QCC-PTS is a quick connect adapter used for greasing recessed hydraulic fittings and ball-type fittings where regular hydraulic couplers will not fit. No threads, no screwing or unscrewing, just snap our quick connect push type adapter on any standard coupler for use. For use with hand operated grease guns only.